My reaction went from "eh" to "ugh"
I guess if you like the standard traditional magic story and don't want anything different from that, it's fine. But most stories have SOMETHING original/new and interesting about them! I think the pacing honestly made it worse. They should have taken two chapters max to get where they were in the middle of the book! And then none of the characters were that interesting or memorable. I definitely couldn't tell most of the magicians apart until the very end. I still don't know which one's Rothin or whatever and which one's Daneel. Speaking of, why are these the limpest fantasy names around? Did they really just take European names and tweak them a bit to make them sound more fantasy? And why was there no name for magic, yet weird fantasy names for every beverage and animal mentioned? Those aren't nearly as important as the magic system and its users! Maybe if I wasn't an aspiring fantasy writer, this wouldn't have hurt so much. And like kudos for the main character being a girl, but she's basically the only other female character besides this one servant! I did enjoy that there were actual black people in a fantasy story for once, though. Even though the only black character was a theif. Classy. Again about the writing but there was something about the writing style that seemed really unnatural or just generally off, though now I can't think of why it feels like that. If I remember correctly, everything was overtelegraphed. A lot of small, inconsequential actions were included that really shouldn't have been. Like just say someone opened the door. We don't need to know they got up, walked over to the door, put their hand on the doorknob, and opened the door. Come on. The narrator's voice was so painfully shrill and nasally that by the end of the story, I actively hated him. It was awful. Plus, he could only do like two separate voices, so it was kind of hard to tell who was talking. 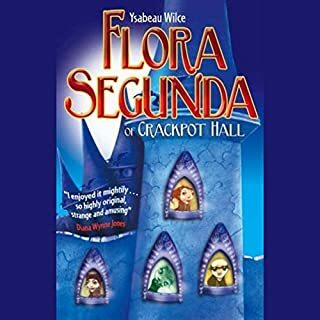 In Ysabeau S. Wilce's exciting debut novel, Flora's mom is away, leaving Flora and her father home alone at Crackpot Hall with its 11,000 constantly shifting rooms. Late for school one day, Flora decides to take the elevator down to the first floor. But without her mother around, the elevator has ideas of its own and drops Flora in an unfamiliar room. Lost in her own house, Flora embarks on a harrowing quest to find her way back to where she started. So I should preface this with saying that I really enjoyed the story, which is why I gave it a pretty good review. I will say though, that if I was the editor in charge of this book, I would not have stood for the way it was written. It's so weird and choppy and feels unnatural, but the most uncomfortable part is the word choice. It does the weird thing some kids' books do and has a somewhat strange combination of really simple vocab and pretty complicated vocab, but it also just... has a lot of really unconventional choices. I suppose I would feel less weird about it if I was reading it as an kid, since many of the words it does choose are the more "fun" sort, but I feel like I would still find it rather forced. I really wish the narrator could pronounce Spanish, considering how much there is in this book. It hurt every time she mispronounced "tamale" and made what I assume to be "Papi" sound like "Poppy." The whole Spanish language and partial culture thing made the story way more interesting to me, though being from the Americas, the combination of this and all the blonde-haired blue-eyed characters was jarring. It was also really good as far as "girl power" is concerned, since not only is there a female main character, there seems to be not even a vestige of sexism in the entire story. Even words like "dainty" and wanting to be well-dressed and clean does not have the sexed stigma it has in our society. That was quite refreshing. 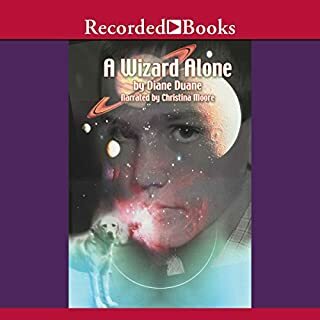 Best-selling author Diane Duane has created a book full of magical mystery, suspense, and humor that is sure to delight Harry Potter fans. 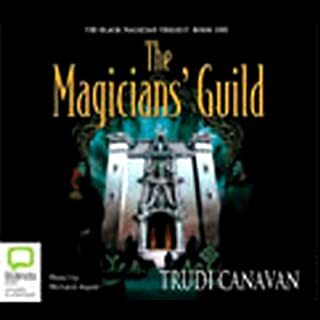 When Nita and Kit, two teenage wizards, lose a young friend, Kit goes searching for him. Meanwhile, Nita is grappling with mysterious dreams and disturbing messages. Soon she fears that the Dark Power, source of all death, is threatening to return to the universe. Aging has made it not very PC, try the new ebook. This book was published in 2002, which is why the way it handled autism is kind of painful to listen to with modern ears. Back when I was a kid, I really loved this book, but the internet, and knowing some autistic people, has made parts of it, especially the ending, kind of not okay for me, which is sad. The book was rewritten recently with this in mind, so I'd recommend giving the Millennium Edition a try. They're currently only out as ebooks, but they'll eventually be published. Diane Duane is amazing as usual, so the writing is good. This book is kind of the "mental health" book of the series so far, dealing primarily with depression and autism. The story itself was really interesting, and, as usual, the worldbuilding is wonderful. I highly recommend it, or the revised ebook. My main problem is how poor the writing was. This book is a really good example of why "show, not tell" is a rule for writing. SO much meaningless exposition onto the (good) character's motives, and just talking about their personalities without really implementing the traits when the characters speak or act. They all kinda felt like the same person. The characters meant to be antagonists also had basically no motive to do anything bad besides "I am evil/ an evil fantasy race," which was really boring. Don't even get me started on the dialogue tags. "Shrugged" IS NOT A DIALOGUE TAG. There is absolutely no reason to try to get creative with these. It's just distracting, and really, really annoying. There were only one or two named female characters? Like, 99% of the women existed only for lines like "the women and children cowered in the village as the men went out to fight the invaders," which is fankly disgusting. 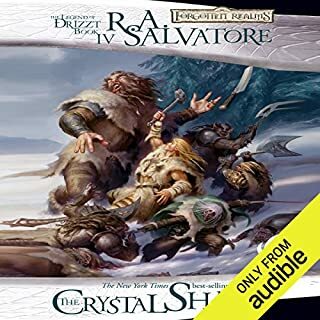 This story would be fun (if there were ladies) as a D&D campaign, but it didn't exactly tickle my fancy as a book.It's a really standard high fantasy adventure story, but it doesn't exactly put anything new and interesting on the table. The voice actor could only do like two voices, so it was nearly impossible to tell who was speaking when. 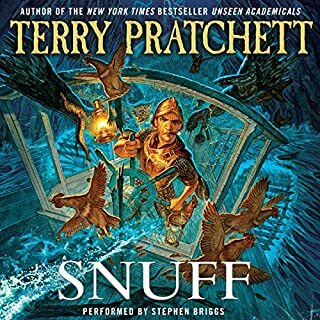 Having a voice actor more like the guy who does the Discworld books would make it more fun to listen to, and give a big distance between character voices. 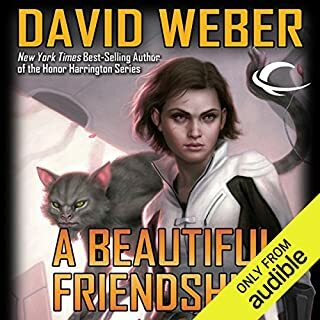 I feel like if they gave the basic plot and characters (the way they were intended) to a different author, the story might be something I'd like to read, but I really disliked this book.I actually ended up doing the audiobook equivalent of hate-watching in order to get through it, because I wanted to write a review that gets most of it, but it made me so mad that I had to take a break before writing the review, and have consequently forgotten a lot of what I wanted to talk about. That's probably for the best, though. The story isn't even that memorable, so I don't remember a whole lot about what actually happened. Basically, if you're at all a stickler for writing, or like good storytelling, look elsewhere. I recommend Terry Pratchett's Discworld series or some of Diane Duane's stuff if you want good high fanatasy. Pretty good world building, but the narrator wasn't very good in my opinion. I always love non-humanoid sentient aliens, especially since there aren't many around in books. The cast is pretty straight and white, though, and for how far it is in the future, you'd think things would be more different, so the story does have a few flaws. There is a bit of an endemic of telling instead of showing, and tons of exposition. The narrator isn't too good at doing voices (Climbs Quickly's voice sounds strongly like Naoto Shirogane in Persona 4, and that's not the worst of it), and sounds like she's smiling in innappropriate parts of the story, which mess up the tone. Jean le Flambeur is a post-human criminal, mind burglar, confidence artist, and trickster. His origins are shrouded in mystery, but his exploits are known throughout the Heterarchy—from breaking into the vast Zeusbrains of the Inner System to stealing rare Earth antiques from the aristocrats of Mars. Now he’s confined inside the Dilemma Prison, where every day he has to get up and kill himself before his other self can kill him. It's heavy-handed, but has its merits. The worldbuilding was quite good, but the way it was presented made it seem like the author was trying too hard to make the setting different from ours. The scarcity of non-humanoid aliens is kind of strange because of this. There was some queer representation, which is nice, and some diversity, though not as much as I would have liked. The abundance of French in names and whatnot added to the "trying too hard" feel of it. 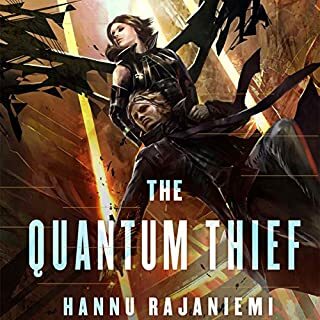 The hero is a major Mary Sue of the rugged variety, but I liked the heroine a lot. You have to infer nearly all aspects of the world through context, which leads to a lot of confusion, but becomes interesting once you've figured out what everything is and what's going on. The plot is complex, but interesting. Sam Vimes is on a well-deserved holiday. But for the commander of the City Watch, a vacation in the country is anything but relaxing. The balls, the teas, the muck - not to mention all that fresh air and birdsong - are more than a bit taxing on a cynical city-born and -bred copper. Yet a policeman will find a crime anywhere if he decides to look hard enough, and it’s not long before a body is discovered, and Sam - out of his jurisdiction, out of his element, and out of bacon sandwiches (thanks to his well-meaning wife) - must rely on his instincts, guile, and street smarts to see justice done. I love the race/slavery commentary! 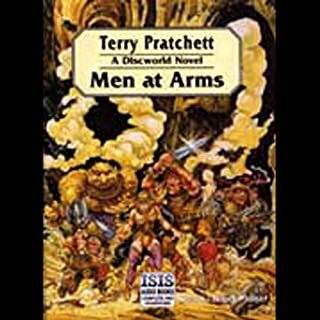 A lot of the Discworld books, especially the Watch ones, have to do with race relations, but this one does especially. 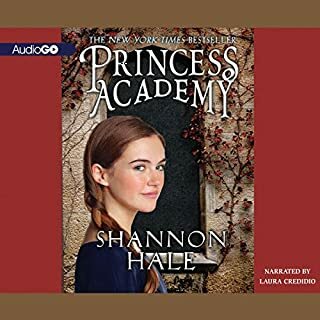 I don't know if it's full-cast audiobooks in general, but the shifts in reader were kind of jarring. The story is good, though. The town of Ankh-Morpork is in big trouble, and the City Watch is desperate for a few good men to protect it. But all they've got are the dwarves Corporal Carrot and Lance-constable Cuddy; the troll Lance-constable Detritus; Lance-constable Angua, who is believed to be a woman; and, worst of all, Corporal Nobbs, who has been disqualified from the human race for shoving! Good Pratchett novel, good reader, bad recording. The sound quality fluctuated wildly, mostly with a diwnward trend. It was often extremely muffled, and varied between one chapter and another. The story and reader were both great, though.